Just as sixteen-year-old Andreo, skilled in death-defying ironman events in wilderness regions, is about to compete in rugged Bolivia, he and his friend Raul (another Bolivian adoptee) begin to suspect that their adoptive parents have unwittingly acquired them illegally. Plotting to use the upcoming race to pursue the truth, they veer on an epic journey to locate Andreo’s birth parents, only to find themselves hazardously entangled with a gang of baby traffickers. Never suspecting that attempting to bring down the ring would endanger their very lives, the boys plunge ahead. 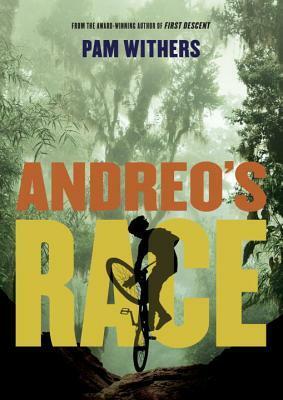 Compelling, poignant, and heart-stopping, Andreo’s Race takes readers on a perilous quest to discover the true meaning of family.